Jurong Central Subbuteo Club was the host for the Table Football Association of Singapore’s FISTF Futures Tournament held on 1 May 2016. The tournament was also registered concurrently as a WASPA tournament under the banner of the SG Lions Table Football Club. As a Futures tournament, participation was limited to those ranked above 300 under the FISTF ranking, with one wildcard exception being granted to Noor Haikal, last year’s champion of the same tournament. 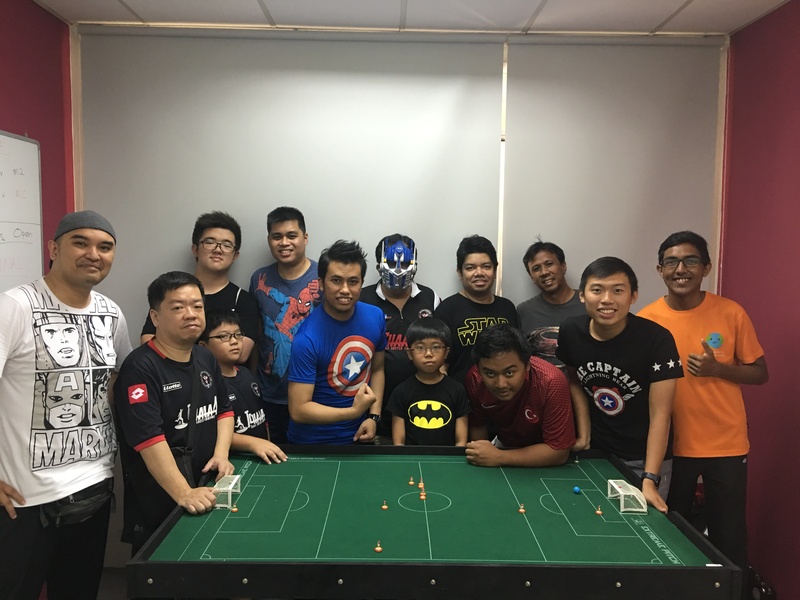 In all there were 11 participants, the majority from the Jurong Central Subbuteo Club. 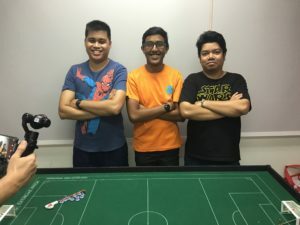 The semi-finals were an all Jurong Central Subbuteo Club affair. Fauzi Ghani easily dispatched recent National U-19 champion Bolkiah 3-0 in the first semi-final, with all three goals coming in the first half. The second semi-final was a tighter affair with Nic Tan scoring the only goal late in extra time against Noor Haikal. In the final, Nic Tan captured his first title by beating Fauzi Ghani 3-1. To end off the day, there was a super-hero fun-theme team tournament between the participants and some others who did not qualify to play for the Futures tournament. It was won by Team Captain America comprising Captain Anas Rahamat, Noor Haikal, Izham bin Sidek, Salihin and Lim Ding Heng.